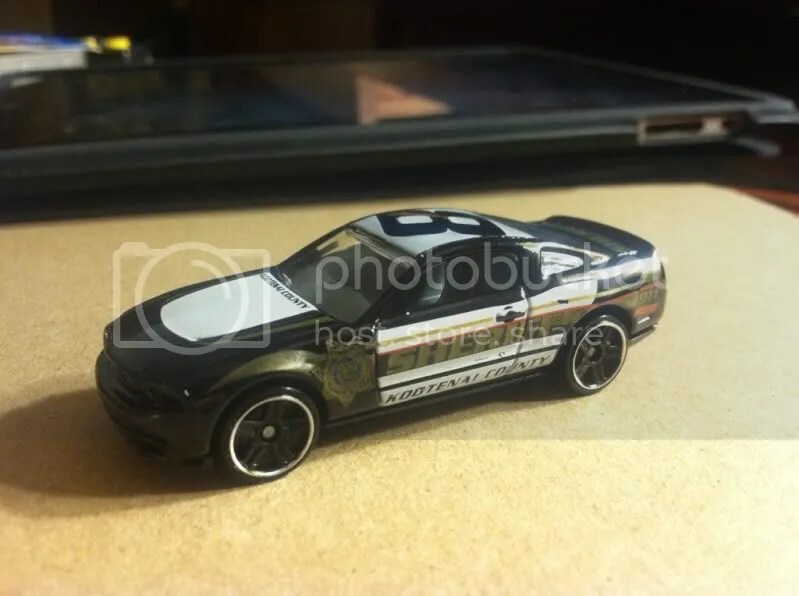 After looking for months, I finally found one of the 2010 Mustang/Laguna Seca body switches. 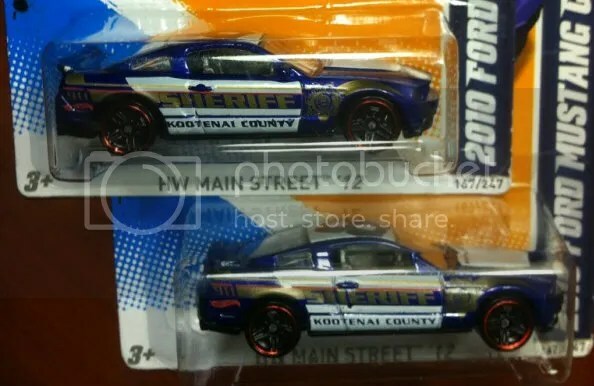 While I am not privey to all the goings on at the Mattel factory, apparently these two castings are way too easy to mix up, and it has made hunting all the more fun for variation and error collectors. Shall we try to walk through all the confusion? 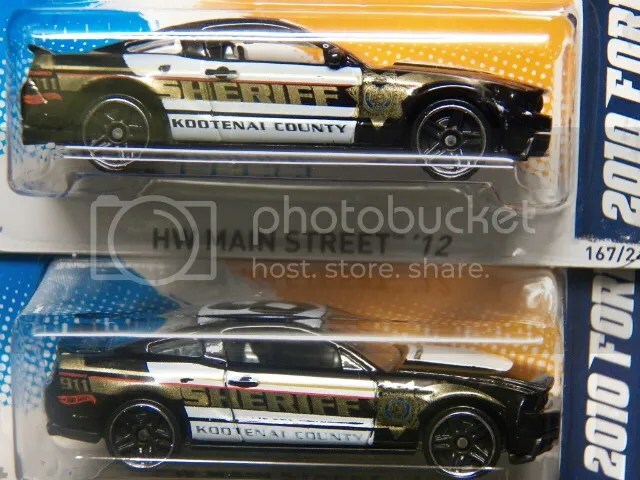 The easiest way to tell the two apart is the side mirrors. 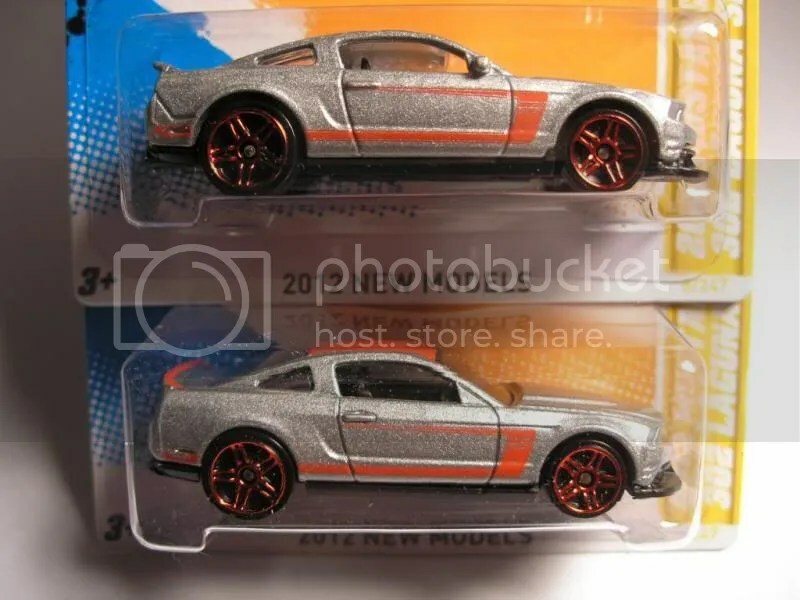 The Laguna Seca has side mirrors, the Mustang GT does not. The Laguna Seca also has large rear wheel wells. So depending on when we see these castings again, it seems plausible that this switcheroo will keep happening. Does this make you a bit tired? 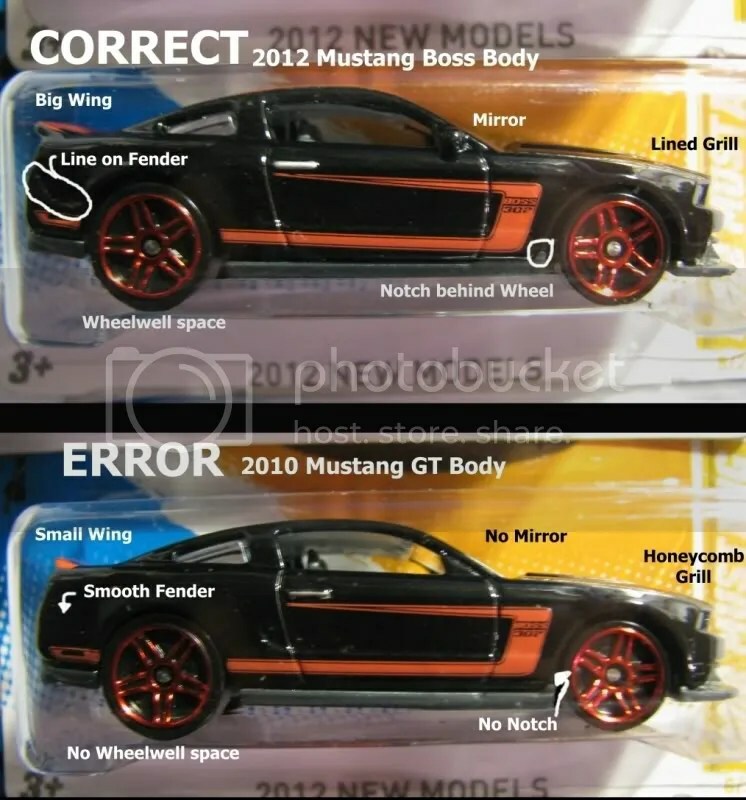 I'm happy I've got the right models, I had no idea this mistakes existed, or where this common! I still think this is a remarkable thing. Not the mistakes, obviously, but the reason. 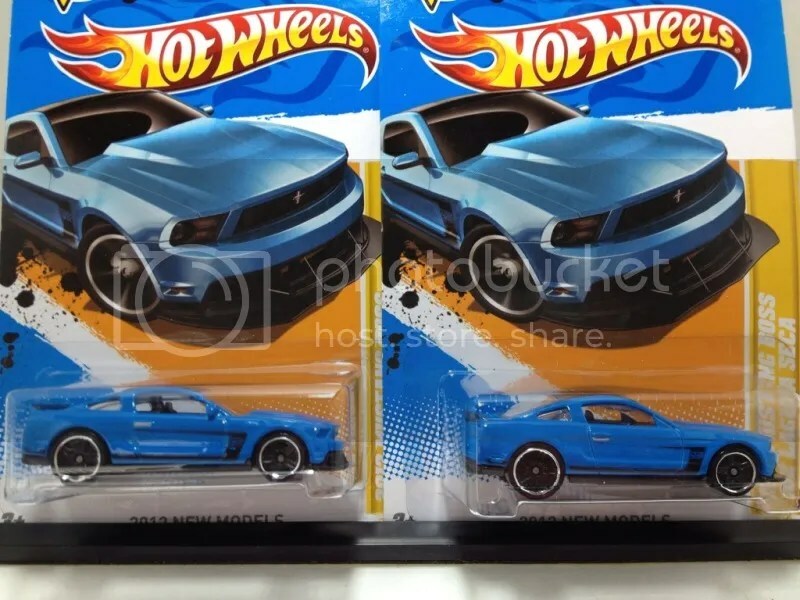 The castings are so similar in size, for the many versions of the latest generation Mustang, Camaro and others, are the same scale, and that is a wonderful detail from Mattel.